What makes us equipped to lead a doula training course. I can’t think of anything more important than the way we give birth and nurture our children. Birth is the start of everything – the way we birth is the start of nurturing families and a healthy society. I enjoy ‘doulaing the doulas’ – watching and nurturing women on their journey, whether that’s on the doula course or during the various study days I offer working doulas. My doula journey has it’s roots in my own childhood, but started in earnest when I did Paramana doula course with Michel Odent in 2003. I’m a birth and postnatal doula, doula course leader, Doula UK Mentor and Registered ABM breastfeeding counsellor and Tutor. As a Counsellor, I derive huge pleasure from supporting mothers at the weekly support groups I work in. It was the start of a total immersion into the birth world and an ever increasing interest in the value of emotional and physical support during the childbirth year and beyond. I truly began to understand the incredible power that women supporting women can have and how this vital skill is being lost. The role of the doula is needed now more than ever before. I remember being told that a Doula Preparation Course is something that all women should have access to in their lifetime. I agree. Whatever you take away – there is so much to gain. Watching women as they share their life stories and grow in confidence in the group. The incredible sense of togetherness. Some will go on to doula and some will take away a new self – awareness and knowledge about themselves that has a positive impact on their future. I am passionate about the role of the doula and all that we have to offer. It all starts right here! I am delighted to be part of the Developing Doulas team and look forward to welcoming you to my course. Running alongside my doula work, which includes mentoring new doulas at the start of their journey with Doula UK, I really enjoy learning and organise lots of study days, workshops and events. I am mother to two rather lovely young men (Henry, 1995 and Corry, 1997) and wife to Adrian, my husband who has supported me through thick and thin and then some! In my spare time I love to walk miles with my dogs, read all sorts of books, cook, go the theatre and cinema and socialise. I love people and I love life! Before I knew of doulas but after the birth of my first child, I began to understand what it is to be listened to and to feel truly supported. After my second experience of birth I yearned to know more about how I could help others and it was then that I discovered what it meant to be a doula. I followed my heart and my passion, training as a breastfeeding peer supporter, managing a mother’s milk depot and finally to Developing Doulas where I could really connect with the truth of women supporting women through birth. I have been lucky enough over recent years, to work with charities and committees supporting women with their birth and breastfeeding journeys. I have listened to their voices and helped them to be heard and I am so excited to now be able to share these stories more widely and open a world of possibilities to other women who feel the same calling. 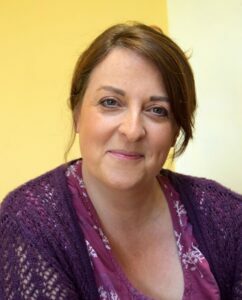 I am a recognised, experienced doula with Doula UK, and a trainee breastfeeding counsellor. Supporting parents in birth and walking with them through their first steps as a new parent is such a gift and I’d love to share it with more women who have a passion to pass it on. I gained my PhD in Physiology of Reproduction in Paris, France, prior to moving to the UK in 1997 and embarking on a 20 years biology research career. Whilst pregnant with my first child in 2005 I hired a doula, the founder of this course, Maddie McMahon. Having a doula was such a positive experience that it led me to have a complete professional conversion, because I wanted other women to experience how transformative doula support was too. I left my scientific career behind in 2012 to focus on supporting families through the transition to parenthood with a blend of informational, emotional and practical support, so that they can make the right decisions for them. 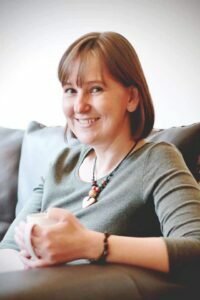 I am a doula UK recognised birth and postnatal doula, doula mentor, antenatal educator, babywearing instructor and healer. 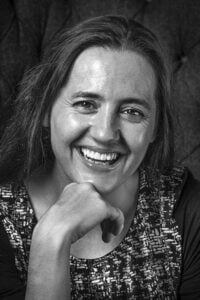 I run a range of workshops for birthworkers (Closing the bones, Postnatal Recovery Massage, Rebozo and Reiki), helping them to support women and their partners through their pregnancy, birth and postnatal period with a unique blend of traditional and scientific knowledge.